The United Nations Security Council has warned about the worsening humanitarian situation in war-battered Yemen, stating the status quo is having a “devastating” impact on the lives of civilians in the impoverished Arab country. “The Security Council expresses its grave concern at the continued deterioration of the humanitarian situation in Yemen, and the devastating humanitarian impact of the conflict on civilians,” it said in a statement on Thursday. The statement said the UN estimates that 22.2 million Yemenis are now in need of humanitarian aid, and the number is 3.4 million more than the figure recorded last year. “The members of the Security Council reaffirm their strong commitment to the unity, sovereignty, independence and territorial integrity of Yemen,” the statement said. Also on Thursday, Saudi fighter jets carried out three airstrikes against an area in the Iyal Surayh district of Yemen’s northwestern province of ‘Amran. There were no immediate reports about possible casualties and the extent of damage caused. 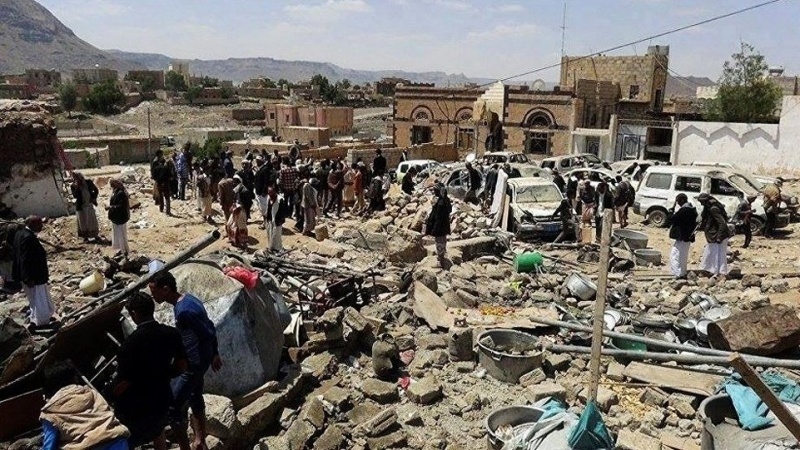 Saudi warplanes also pounded a residential neighborhood in the Huth district of the same Yemeni province. No reports of casualties were immediately available though. About 14,000 people have been killed since the onset of Saudi Arabia’s military campaign against Yemen in March 2015. Much of the Arabian Peninsula country’s infrastructure, including hospitals, schools and factories, has been reduced to rubble due to the war. Ging further noted that cholera has infected 1.1 million people in Yemen since last April, and a new outbreak of diphtheria has occurred in the war-ravaged Arab country since 1982.